Last edited by budget builder; 01-18-2019 at 11:48 AM. 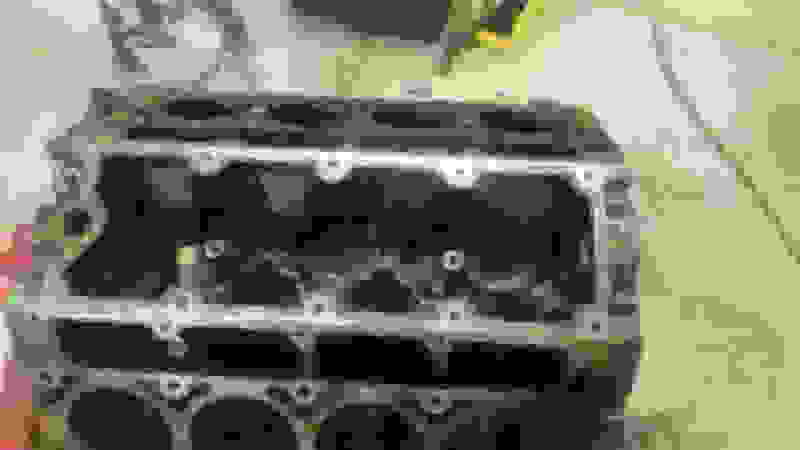 LS1tech.com is a good resource for what you want to learn about the engine. This place is a good resource for information when you try to make it work with your car. Hard to say without seeing its current state but some guys would literally just run it as is and take the gamble. But if you want more peace of mind..id tear it down. Pull the heads off, put in a new timing belt,maybe oil pump,water pump,lifters,best time for a new cam and valve springs,get the heads cleaned if they been sludged up,fresh gaskets..maybe a coat of paint and button it back together. The more you are willing to dive into it and be sure not hidden issues pop up..they better. most have had good luck with just taking a junkyard motor..make sure its spins over and ran it as is if there wasnt any obvious signs or damage externally. But head over to ls1tech..and start reading up on basic builds and get an idea of what you intend to use the engine for..plan around that. I ls swapped my camaro its great. I also have a 99 chevy pickup that is equipped with the small 4.8 ls. I bought the truck 11 years ago with 95,000 miles on it. Over the years it has sat for periods of time, months sometimes. It needed knock sensors and I removed the intake to replace them, other than that I do not think the valve covers have ever been off. All I do is change the conventional oil every 3,000 miles or so and beat the living daylights out of it. It is stick shift, I bounce off the rev limiter all of the time. It's like an upshift indicator. It turned 300,000 a few weeks ago. It is my daily driver, a lot of the time my one way commute exceeds 100 miles. This thing just goes and goes and goes. My advice is to pull the valve covers and if it is all sludged up pass on it find a different one, if it is not all sludged up RUN IT ! 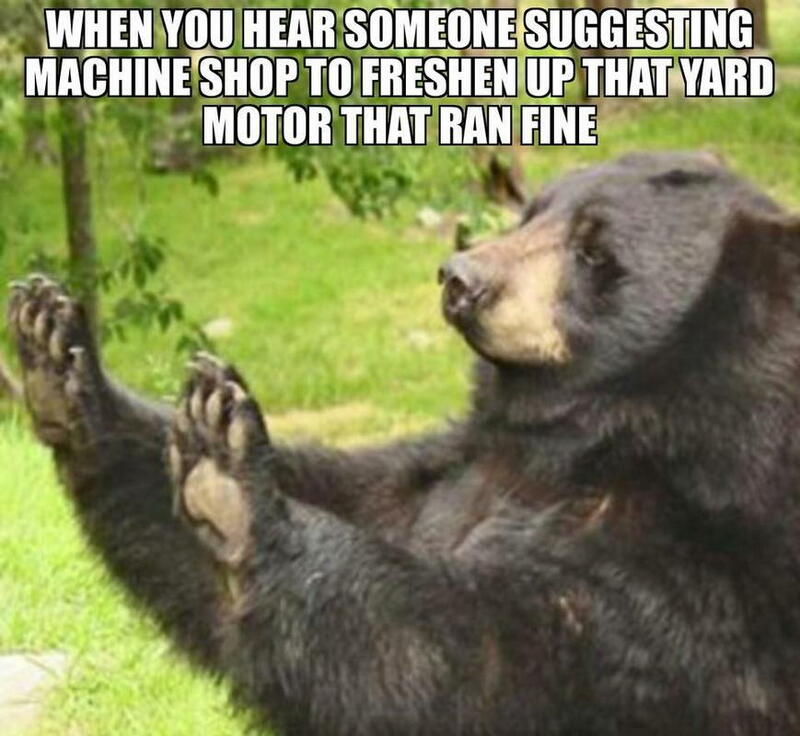 Or we just want to see a swap go well without turning a blind eye to a junk yard motor only to have to yank everything back out because a simple refresh could have prevented catastrophe. Suggesting we want his engine to fail is ignorant. Last edited by ShiftyCapone; 01-20-2019 at 06:40 PM. "I hear ya! Had more trouble with machining BS trying to use aftermarket parts than I care to admit. Wish I would have stuck to factory short blocks as well. Tired of pulling apart "built" motors when guys are making twice the power on factory original stuff and racing the whole season." "stock is reliable on the track"
After 3 years on the stock bottom end with the rings gapped for boost, I decided to upgrade to the LJMS Wiseco piston Compstar rod combo. My engine builder handled this and delivered an assembled short block. Mains were set to .002" Rods .0023". Piston to bore .005". Rings .024 and .028. With no change in the tune or boost (18psi at the time) the car was 3 mph slower. Until they finally realize to just run the stock bottom end. SBE 6.0L Will do 1000 horsepower to the tires through a 4l80e... Do you think the thread op needs to open himself to all the potential hassles of a refresh when his power goals are probably less than half? It isn't that hard to tell from looking an engine over and turning it by hand, compression test, and possibly running it in the donor vehicle etc... if its going to be a good motor or not. There is nothing wrong with pulling the heads, cam swaps, valve work, etc... The issue is machine shops (they can @(*@# you over) and bottom end work is very difficult, few have the proper tools and experience and attention to detail. Something else to consider is that it is far less work, less headache, and less money to yank and replace a cheap JY motor than to go through all the hassles of rebuilding one just to have it fail and have to replace it anyways. Ex. 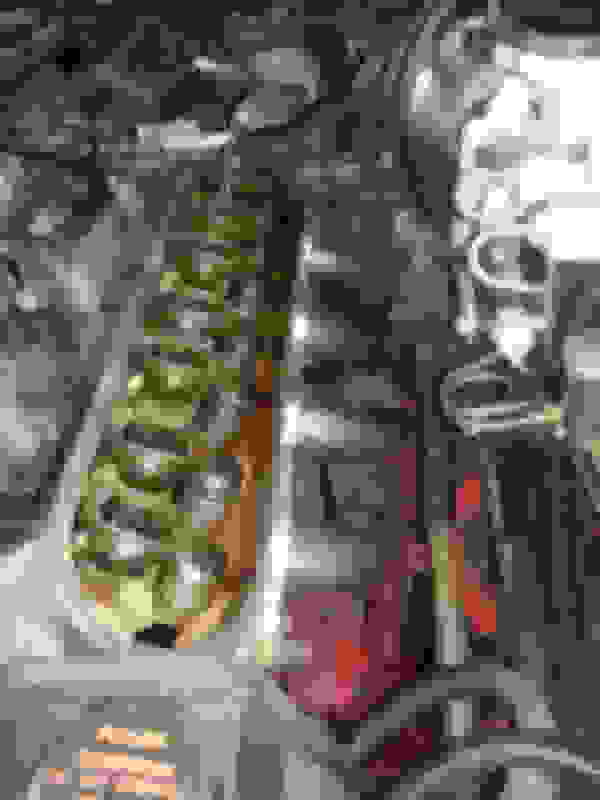 I could replace the $500 engine in my car in 1 single day (for $500), how long does it take a typical machine shop and how much does all the engine work cost? Just for them to leave behind some burrs on the lifter bores or some stupid small mistakes which trash the engine after a couple months "OOPS not our fault!" back to square one either way. I say fresh the heads, put a cam, and if really worried keep a spare copy longblock on the shelf. It will cost less, last longer, support more power than you will ever need. Last edited by Kingtal0n; 01-20-2019 at 08:18 PM. Your suggestion that properly going through an unknown motor and giving it a refresh, through a machine shop, is hot rod suicide. And that that is equivalent to us wanting his engine to fail. That's lunacy. Machine shops are not out to get you, they feed their families by building engines. A simple conversation with with them on their experiences with LS motors will alleviate most concerns and allow you to choose properly. Why should someone unfamiliar with the LS platform wing it with a junk yard time bomb? Consulting with an expect might be the first step to the success of their build. He will learn that the real world is far different than the internet world. Right, and they are posted on the internet because they blew it up or failed to plan/address other issues. That's a very small sample size of a rather large population. Yes I do. A SBE 6.0 will last few times at 1000hp and be posted on the internet as the norm, but it also doesn't last at all with 700hp and is never posted on the internet. Context is missing. An outlier is not the norm, nor good measure of success. But there is the cost of time? A simple rebuild/refresh doesn't have to be a $5k endeavor. And to your point, the bottom end you pick off the junk yard shelf might suffice. But a $1500 rebuild that lasts years is easier to palate than swapping a motor a few times a year. Many don't have time for that. I understand that you are trying to help but you post a lot of noise that is touted as norms, when it simply isn't true. For a beginner swapper it is confusing and muddies the macro view of what they are trying to accomplish. The engine itself is often not the reason why people struggle with these swaps. Rather it is everything else, from wiring, fuel, exhaust, front accessories, etc etc. Call me crazy, but telling a newb to grab an unknown motor off the junk yard shell, throw a ton of boost at it and enjoy it because it will run perfect is just not helpful to anyone. The OP's engine at 100k is likely fine and a some simple tests as you outlined would suffice to deem its readiness for a swap. Last edited by ShiftyCapone; 01-21-2019 at 10:13 AM. a typical OEM motor from 02-08 at 120k is very likely to go 200k or 300k. i.e. 'pre-mileage' increases the aspect of reliability in this context. A motor at 0k whether fresh from the factory or fresh from a machine shop is a wild card, with the machine shop being significantly worse historically. That is, It is very difficult to find engines from machine shops with 100k or 200k on them. In fact I don't think I've ever seen one in the entire internet, ever, that made it that far. I am sure there is but good luck finding it. Whereas, it is very easy to find motors from machine shops with significant problems/errors. About 99% of the time it seems there are errors. Even from well known reputable machine shops. And Most errors go undetected. The owners never knew. And what do you know... there are hundreds of microscopic failures. Everything from the timing equipment, thrust surfaces, cylinder bores, camshaft burrs, lifter bores, **** you name it. Its all @(#*@'d by the machine shop that supposedly does this for a living. You run a motor like that and it goes, oh I don't know- 20k seems about the norm. Then it falls apart ("not our fault" they will say) from floating debris- because guess what? Regular people do NOT appreciate the microscopic details that go into building a high mileage engine. A factory Chevy motor where hundreds (or thousands) of engineers have worked together over the last 30-60 years have finally figured out a process, a routine to follow, and that by around the late 90's early 00's and managed to repeatably stamp out motors that regularly go 200k or 300k. No machine shop will ever put that kind of ~30 years+ of engineering mistakes/realizations/fixes that go into a production engine. And even with ALL of that 'learned experience' its STILL a wild card when the motor first comes out. It isn't enough to just buy a new motor from GM- You have to wait and see which ones are good, and which ones are bad. And that takes 10-15 years. 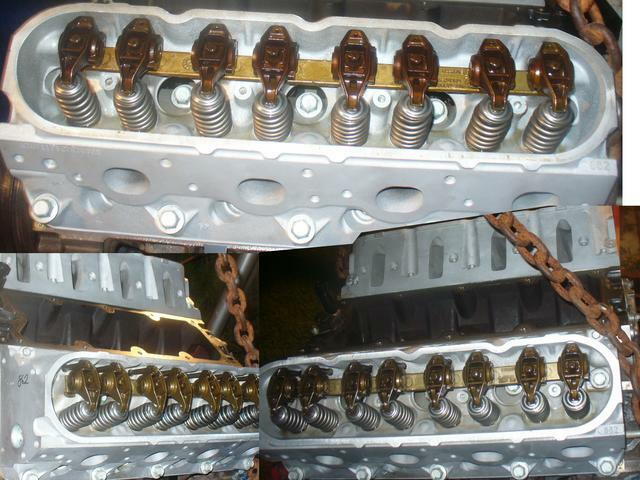 For example people that bought brand new Z06 vettes through like 06-10 all need new heads (not sure on the exact years but do a search) and new valvetrain hardware because even the factory makes mistakes, and if you haven't waited ~15 years and collected a sample population of 500,000 vehicles/engines with at least 100-200k miles on them, you won't have a @#(*@# clue which motors are good or bad yet. So what engines do we know are sure of that satisfy all that criterion, that is, they've been around for 10-15 years or more, they have 30+ years of production engineering built into them, and there is a large (HUGE) sample population that has gone in excess of 100-200k without quality issues, and they are plentiful enough and cheap enough for novices to afford and swap in their cars, AND they handle enough power for the modern (novice) enthusiast... Oh, yeah, the roughly 02-08 truck motor variants (and similar) have done that. They are basically handing us the holy grail of engine reliability aspect on a silver platter. HERE they say, take it. Just don't @#(*@ with it, don't tear it down too far, don't send it to a machine shop, don't even check the bearings. Just run the damn thing and get on with your life. Put the motor in the car and be driving already. It isn't that difficult to find a decent used motor because the sample population is enormous and they are cheap, just follow the routine: inspection, compression, mild updates that is the time honored, proven recipe for keeping a reliable motor as reliable. Its justreally really hard to properly machine one with every detail in mind, cleanliness and inspections and attention to the micro-details which might even require actual microscopy, for any engine, and then get it back to the customer actually done right, because to take all that time and microscopically investigate every detail would probably cost more than people can afford, and it takes a lot of school, like, I don't know, a master of science in biology or something. Just to understand that there is more than meets the eye, the air we breath is filthy even though it looks clear kind of thinking. It is simply beyond the scope of typical machinists apparently. In any case, trying the machine shop method when the holy grail of engine reliability is basically being thrown at us, well it just sounds like (it really is) a huge mistake. That many have learned the hard way. 2009 G8 GT. Cammed, full bolt ons. I beat the CRAP out of this thing. I did have some LS7 lifters fail. Replaced cam/lifters and she runs like a champ. Oh... Did I mention... 180K+ miles? I change the oil every 6K. Thats it! LS engines are incredibly reliable. That was never the point of this thread and helping the OP with his project. Unless the motor you are using came off the factory line you dont know what you are getting. Just do your do diligence. I've been burned 3 times with junk yard LS motors where each of them were unusable. It had nothing to do with all the noise posted in this thread and instead was a product of their respective environments. 1. spin over 2. Look over 3. Connect battery to starter and do compression test while on trailer 4. ??? Pull a valve cover, its 4 bolts. If the oil was changed regularly there will not be any sludge. It will be a dark brown tint on everything or it will be all sludged up. It will turn just fine if it is all sludged up and if it is all sludged up it is because the oil was not regularly changed. Like I said in an earlier post, I change the oil regularly and I have over 300,000 miles on it. I second pulling a cover and also see what comes out of the oil pan. Even if it has been drained make sure chocolate milk doesn't come out. Pull a few plugs and look for signs of water. If the motor sat outside long enough it can happen (got burned this way). What year 6.0 is it? If its later you'll need to deal with VVT and AFM if it has it. 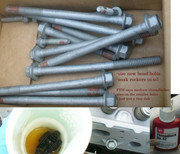 The valve train pic was at about 140,000 miles. 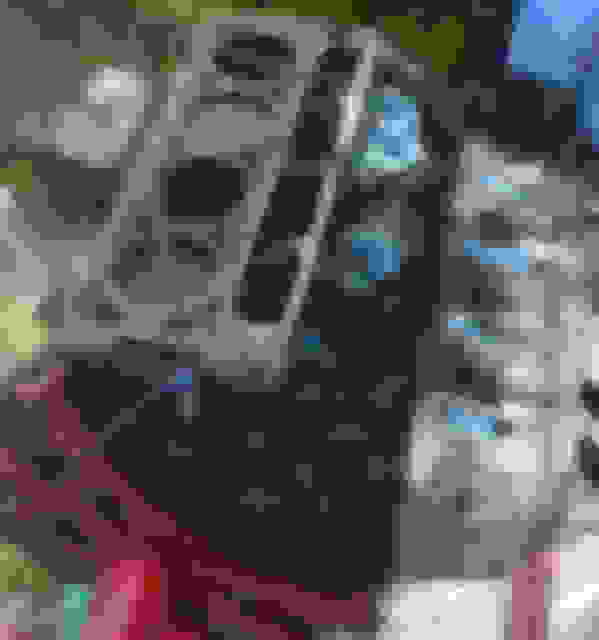 The engine block, we'll if I pulled a valve cover and it looked black like that I would pass or expect to rebuild. 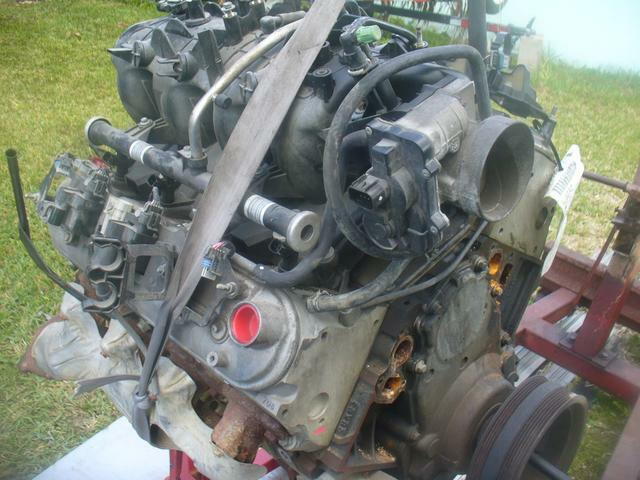 Do your home work on the cost of the swap, if you are getting a good deal on the motor then you can easily exceed the motor cost on the swap. LS1 engines have been beaten and broken, but if you stay at manufacture HP and don't boost it you should see 200-250k miles on a LS engine before needing to overhaul it. Personally if you can hear/see it run before its pulled and there are no noises on the bottom end I would just run it. Doing the 100k maintenance on it out of the car would be easier. 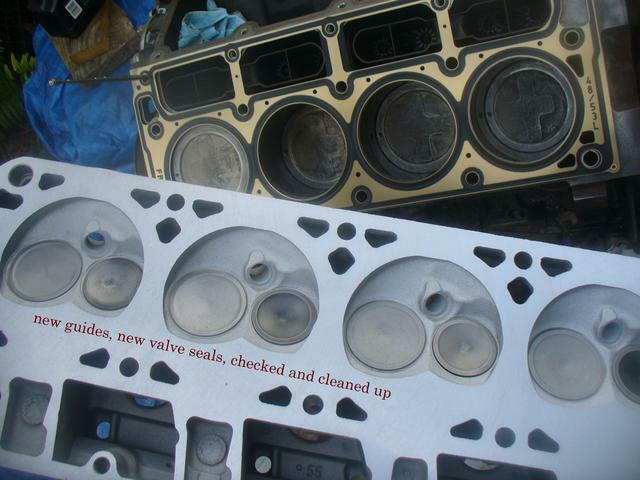 I would do new gaskets on the intake, valve cover, and oil pan. Inspect as you do. Use a cheap endoscope (they sell ones that sync with your phone) camera to look inside the engine through the spark plugs. For my donor engine it was a flood car, but it was running and driving when I picked it up so I bombed around the back yard some (it had a non rebuild title so I couldn't drive it on the road) but I knew the engine didn't have any major issues and the trans was still good. If you are getting it on a crate, and the deal is really good, you may want to ask why the deal is so good-- sometimes its a project gone bad, sometimes its someone off loading bad parts they got taken on. Also someone mentioned a timing belt? Does the 6.0 have a belt I thought all the LS engines were chains? I would plan on a new water pump as part of the 100k maintenance, new plugs and wires, ohm out the coils. I wouldn't be afraid of going through the bottom end, just make sure to keep the caps in order (since they are broken not cut its a 1:1 match) and work with someone with knowledge on the LS engine. There are a lot of bad stories out there but they usually come down to a builder's mistake. I think the number one reason for a new LS engine to fail is not priming the oil system. Either buy a primer or build one using a garden sprayer. Does the 6.0 have a belt I thought all the LS engines were chains? They do have chains. That man probably wasn't paying attention as he has done a few boosted lq4s in his t/a. Awesome videos of it on YouTube messing with mustangs,tuners and a few exotics. i don't know how so many people go through all the work of swapping an LS into any vehicle and are OK with throwing a big cam / turbo / whatever at it without ever fully checking it out. I've had probably over 10 people tell me I'm "wasting time and money" by doing a full rebuild on my lq4 thats only putting down around 360 rwhp but I did NOT want to have to yank the motor again. Peace of mind I guess. The other mentality is run it till it blows and get another JY motor, which is fine too. Just not what I am comfortable with. I agree 100%. I have been burned by 3 junk yard motors that appeared to be "fine" on the outside and sold "was running when pulled"
LS1 - Had a hole in the piston from what looked like a nitrous hit gone bad, cracked liner. Worthless scrap heap. LQ4 - Looked great and was told was a rear end total that had only 34k miles on it. I decided at the last minute to pull a head and I am glad I did. 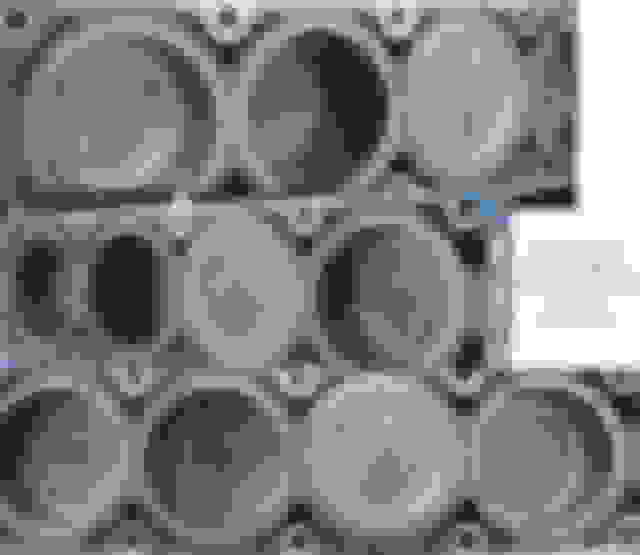 Water was sitting in two of the cylinders and pitted the walls and ruined multiple sets of rings. Was able to part it out so I only lost time. LM7 - Was running but pulled the pan and found the bottom end was crusty carbon from lack of oil changes and likely a clogged PCV. Carbon had scored the main bearings. Translation, junk motor. That's when I gave up and built from the block up. Yeah you need to pull the pan, pull the heads. If everything looks good you put it back together and run it. If not, part it out. You could even pull the engine apart and put it back together again via FSM procedure- I would even risk that. It depends how clean you are. Nowhere in that process do you pull the crank/rods/pistons and ship the thing out to a machine shop, and wait weeks for a huge pile of mistakes to come back. You inspected the bores, the lifters, cam(as much as possible), the rotating parts visually and where you finger fits. it spins nice, good compression ( I compression tested 11 engines to find the best one FIRST), Looks good, run it. I have 20k on this engine already. I put a new oil pump because I thought it was bad (it wasn't I was just impatient). Replace the rear main seal also because 20 year old crusty leaky ****. Even if you machine shop it, what do you get back? Lets say all the work was done perfectly and its like a 0 mile refresh motor. 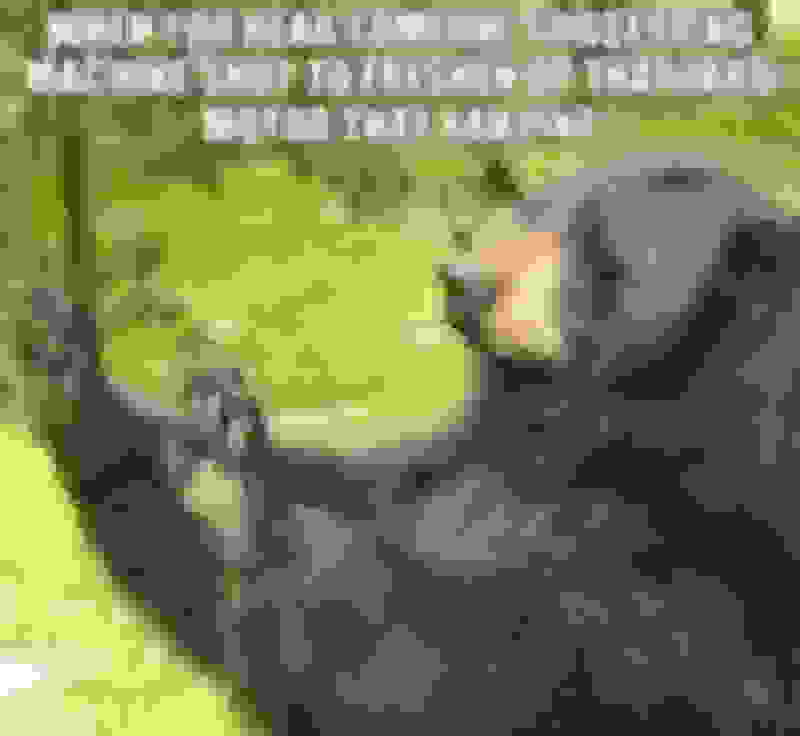 Last edited by Kingtal0n; 01-23-2019 at 01:59 PM. This has gotten good. Love the pics and everything all the advice even the debates. I love it... different points of view, experiences, etc.. I love it. windage tray -same... looked in bottoms of pistons, crank, could see cam, cylinder walls (hasch marks), rods, mains, turned by hand (smooth) did not see any broken anything...all brown reddish. looked inside of oil pan seen a little sludge in corners of pan, a little carbon on the underside of pistons and in very bottom of oil pan... is it true that when u change your oil u never truly get ALL the old oil out? Yes I'm talking ALL... if it's TRUE then that would explain the little I seen. When we turned the engine over the oil that came out the top looked like oil... not milk. I did not get a chance to take heads off but I think we're in good shape although I still want to see. But if a piston is broke replacing the pistons and rings aren't that big a hassle as long as the block isn't scarred right? take pictures... tens or hundreds of pictures. post the most revealing pics. 100's of experienced eyes here to look at pics. Words take too long... a picture is worth..? A little sludge is normal, especially in the corners of the sump. You likely would know if you had a broken piston or ring land, as you'd hear it while turning the crank. Turn the engine over at least two full revolutions. It sounds like you are in good shape but I would pull the heads and at the minimum plan on replacing the lifters, headgasket, and performing the trunion upgrade to the rockers. All cheap insurance. I went from sbc's and hating the performance vs time/money spent ratio. I got my first ls1 that was running in a wrecked 00 camaro which had slight #7 piston slap on cold startup with the harness. Put it into my t/a at the time and found a used t56. That setup felt like a god compared to my 383 hsr/700r4 I had built at a shop the rod knocked the moment if first up and ate itself alive.A yr or so later the ls1 piston slap become a smoke show under any acceleration so I pulled it out and sold it for next to nothing..local kid wanted the block. I then found a pulled 6.0 from a low mileage denali,bought the guy that was selling it to me had my sketched out at first..he painted the engine silver and had fully cleaned everything so it was hard to look for obvious signs of how it ran etc on an engine stand. i took the risk and took it home.I pulled the heads and pan off..spun it over and it was mint. I then put on fresh gaskets,timing chain!,228r cam and springs and tossed it in. Car was great..made good power..good gas mileage..and then the car caught fire. Found my current t/a and swapped Everything over. At this point..my dumbass should have stopped and enjoyed a perfect street rod lol..then my crave to beatup vettes etc came.. and turbos were much cheaper to build slowly than supercharging so i bought one without know wtf about making it work lol. My first go with turboing the lq4 was a hella learning experience..short lived on how i popped the rings being foolish turning up boost not realizing that my tires were black tracking on the highway after an event.Pulled that motor out..found another highmile motor..dropped just the cam n springs on it and ran it.This guy also didnt last long Ha. Whenever someone says to me..I only want to make XXXwhp with a turbo and Ill be happy.Your playing yourself!!! We all turn it up. I went back to my low mile block and this is the one I currently built up right..forged pistons rods etc. The ls motors can be as reliable as you treat them..just like anything else for the most part. put the effort in now to save yourself from doing it again later and spending more. And by all means..enjoy learning about it..doing the swap,the ups n downs..from the first startup and drive.Its an adventure to cruise around and have ppl ask..is that the 305 or 350..and answer back..none of the above. If by 500 cubic inches you mean 376 (or less) than yes. GM has been cranking out over 1 hp per CI since 1998. Most heads and cammed LS N/A motors are making 1.4 to 1.6 hp per cubic inch. Although it will have a higher power band 600 hp on a 6.0 is not far fetched. However, a lower power goal would likely yield a better overall driving car with more power under the curve. dude even though its just rough math. But I also think there is no way- 99% impossible to have 600bhp from a 6L engine at 6000rpm naturally aspirated. Now look at the graph given by the engine manufacturer- Oh yeah, 473 horsepower. Pretty close huh? The math doesn't fall far from the tree because engines are air pumps and air pumps all work the same way. 1. .069 is the turbocharger adiabatic efficiency constant included- it assumes the air is hotter than atmospheric due to turbocharging. So in reality of course the engine output will be slightly higher due to not having a turbo blowing some hot air at it. 2. The compression of that engine is a little lower than we would use for an NA setup so again the realistic power of an NA setup designed to produce peak power from an NA combination will also help the motor a little, maybe 20-30hp I guess. Nevertheless, 450, 470, or even 500~ is still not very close to 600 at 6000rpm. It should be quite impossible in fact to pull another 100hp out of the motor on typical 93 octane fuel even with all the little tricks available. The biggest trick up our sleeves of course is RPM, push it past 6k and the sky opens up to 600 700 even 800hp is possible. But RPM can be a deadly force. Pushing a big ol' engine past 6k is something you do when racing quite frequently but not an ideal way to setup a street car. 600 hp at the crank is roughly 500 at the wheels (dynojet), assuming T56 and solid axle rear end. There are hundreds of threads on ls1tech of guys hitting 500rwhp with "basic" heads cam intake combos. As for having a street motor go past 6k rpm. Uhm, my 2016 suburban does that. 6,500 rpm all day long for new GM LS/LT mills. 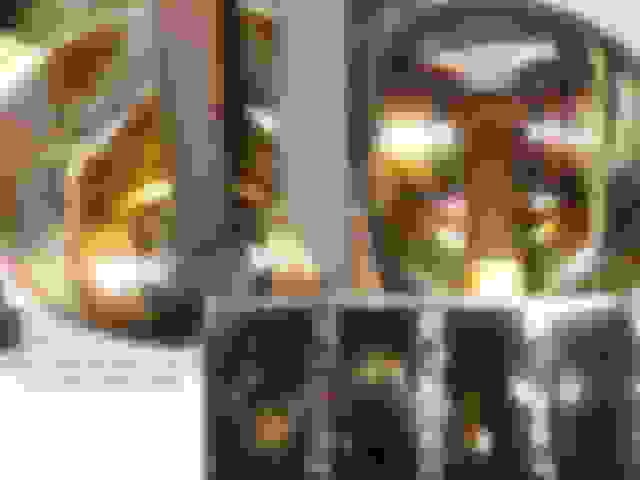 And that's with a tiny cam and negative overlap. The power is in the heads and valve train angle. Your average small cam (.22x / .23x) with 11:1 compression 6.0 is making 450 to 480 at the wheels. Which is 580 at the crank. As far as that link to the GM crate 376, did you see the cam size? That cam had .550 lift and .210 intake duration with 9.0 compression and was still rated at 473 crank hp. That engine has a smaller cam than a stock LS3, 2 points less compression, heavy intake valves, and makes 473 hp. 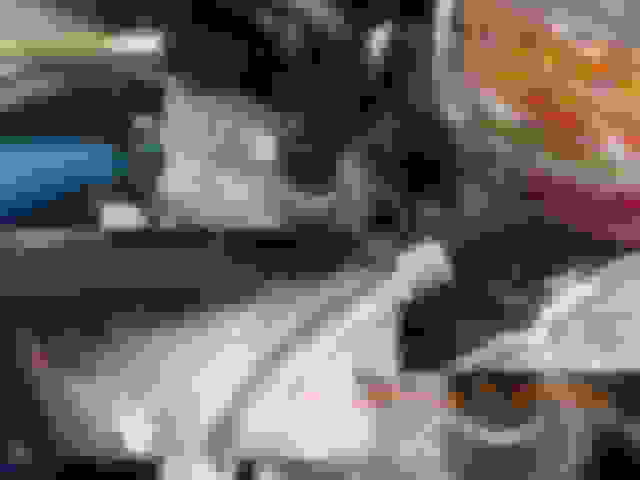 Last edited by ShiftyCapone; 01-27-2019 at 08:02 PM. All the dyno graphs I see with people making 500 on that size engine have an inane mods list, including E85. There are no 93 octane 6.0-6.2L engines doing 600bhp anywhere near 6000rpm without serious investments. The math is just a general formula for getting near the goal without considering such expensive/extensive mods lists. It obviously isn't a hard rule. Over 500 your going to want to add cubes imo or your going to have to spin too high to be reliable. I too have spun very high, over 9K in fact. It wears out the guides and eats valve springs and doesnt last as long but to hit 500whp? Sure, electric water pump nickel, vacuum pump dimes, *** loads of $$ invested in a motor that could potentially fail in the hands of somebody afraid of EFI. The math/common sense says use a larger engine and a lower rpm, and it will last longer. I agree to a point but the OP said he has 6.0 and wants 600 hp. I'm only saying its very doable. No black magic, and not cheap but can certainly be reliable. TSP, Mamo, BTR, LME vengeance racing etc etc have heads/cam/intake combos to hit his goal. Shooting for 450 to 480rwhp would likely give him a better overall street engine but 500rwhp is not out of the question when you invest in AFR, Mamo, PRC or TFS heads. When you are N/A and you want the most power yet have it be "streetable" you are going to want to spend your money on a set of heads. 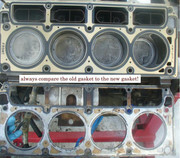 Ported OEM heads are ok but you can't match the performance of a properly designed aftermarket head for your motor. An aftermarket head will allow you to run a smaller cam which in turn will be more streetable. For your goal, that's where I would look. However, if you can live with 50rwhp less or so, a ported stock casting combined with a .22X/.23X cam (assuming .600" lift) will put you right in the 450rwhp zone. Spend some time on LS1 tech and read up on various combo's. You will start to see the range of what people deem streetable. I also encourage you to rear all the threads started by Tony Mamo. He will give you a great education on these motors and explain why a good set of heads sets the foundation for power. In my opinion putting money into a motor is a bad idea in general. Then having it blow up in your face from something stupid, like the oil pan design for the vehicle was inadequate during a hard launch and the pickup starved. Or the oil relocation lines got pinched somehow at the track (its happened to my friends) or clogged and motor starved for oil. Or the orifices that drain oil back to the pan were inadequate and the oil volume in the pan dropped and the pickup starved for oil. So there are two schools to this. The first one is, fix all those problems first, THEN run the expensive engine. Once all that stuff is sorted out, you can probably spend big money on the engine and get away with keeping it... oiled. At least. But still you are open to internal issues such as cam bearing failure. And keep in mind that any of the above oil related issues will tend to trash all of the expensive parts. Some more than others. For example I would never re-run a cam or lifters or crank or rods in a motor that had experienced an oil related failure, no matter how clean it looks. It may be harboring infectious materials or a design flaw that you won't realize until it trashes a second and third engine. So I tend to reserve this 'school of thought' for people with spare $$$ to throw away in case of engine failures. And very few street car people have that sort of luxury. yet you still see this happen, somebody will spend 10k on a setup over the course of 5 years and never finish or barely finish the job then something catastrophic sets them back another 5 years, and then the car sits or disappears and we never hear from them again. Alright so enough storm clouds. There is a second school which I have adopted after 20 years of the above nonsense which eliminates the majority of those issues and brings the engine cost way down, perhaps to around 5% of the total cost of the above, and still gives all the power you could possibly want. Yes turbocharging is the ideal route for this method; we can use a stock engine "$500" and make 700hp this way for example. However some do not like the idea of turbocharging or do not understand it fully and wish to avoid it. In that case, superchargers are relatively easy to bolt on and can support nearly as much power on the stock motor, for example procharger would put a stock motor right around 500hp even with $500 worth of internals. And if the motors oil system fails you just move the supercharger to a next engine and keep going. And finally nitrous, although the most expensive for a long term installation, nitrous is essentially on demand power of any injectable quantity. A factory motor that initially provides 300hp (or 350hp with a cam) can be bumped up to 500hp with a 150 shot, which is a fairly typical quantity of nitrous for small V8 engines. All three of these systems have learning curves and are potentially disastrous if not used correctly, yet all three of them allow for the use of a cheap engine, allow us to avoid putting 5k or 10k into an engine and still have the same output and expand-ability(you could always modify the motor as you go for more N/A power while off the nitrous or boost, as the setup proves itself). In other words, say you put a 150 shot on a stock 350hp engine for 500hp, but during the course of the next 2 years you gradually build the top end of the motor up as it proves itself in the application. First year maybe you do the heads for example, and now its a 420hp engine up from 350, plus the nitrous still. Then maybe something else to improve reliability such as logging systems and safety switches. Stuff you may have glazed over to begin with due to extra complexity and cost is now 'small jobs' while the vehicle is already running and driving for a couple years. Agree to disagree. This is just not a true representation of these engines at all. The school of thought is build it right the first time and enjoy it. Cherry picking obscure and rarely seen failure modes as substantiation for not putting money into a motor and or for taking it to a machine shop is lunacy. You are not doing the OP any justice on helping him with his goals. In fact OP, I would get all of your LS engine specific related questions answered on LS1Tech. There is very little risk in putting a new top end on these motors if you already have a confirmed good bottom end. The aftermarket is solid, the installation aids are out there, and it isn't brain surgery. 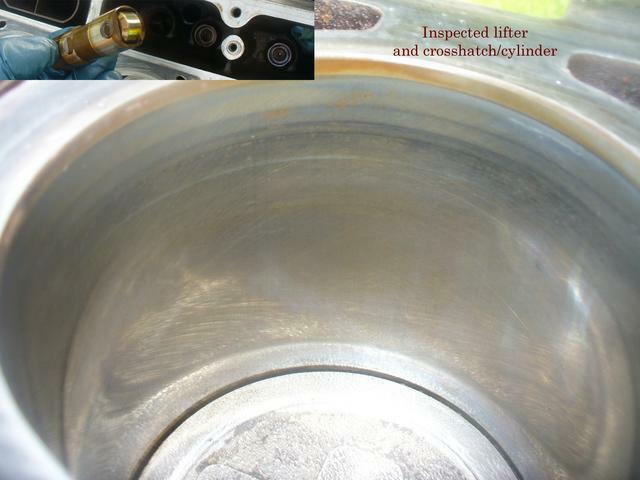 LS Wet Sump systems are proven time and time again. You are not going to run the pan dry on a hard launch. The stock sump baffle keeps the oil right where it belongs during a launch. Only on severe road course racing are you really going to need an aftermarket pan baffle to ensure that long sweeping turns doesn't push the oil to the side of the pan. Even then, a crank scraper goes a long way. This is fear mongering and doesn't help the OP. What relocation lines? I am pretty sure the OP isn't running a dry sump. Most of us don't because it has a higher cost of entry and its not necessarily needed. Again, not helping the OP. The LS oil system has failure mode mitigations if the pan return is clogged. This is rare and typically applies to engines running an unnecessary high volume oil pump and spring at 8k rpm with an OEM windage tray and sump baffle for extended periods of time. You read about it in the tech blogs as theory but rarely do you see an actual failure due to it. Not needed for OP. N/A 6.0 builds don't have this problem. You are more likely to have this happen to a junk yard special than a fresh rebuild. I appreciate the debate but you are overstating the risks of building/modding a motor. You are just as likely to screw up and nickle and dime yourself on all the details of a nitrous and or turbo system. There are lots of engine part-outs forsale on the boards where a nitrous hit went wrong and blew a hole through the motor. I see that far more than a heads and cam motor blowing up, I see it even less if the engine were built for it. There is a lot of set-up and planning with forced induction, more so than a head and cam swap. The rewards are there and the dollar spent per hp gained is certainly great on paper, but they are not trivial set-ups. 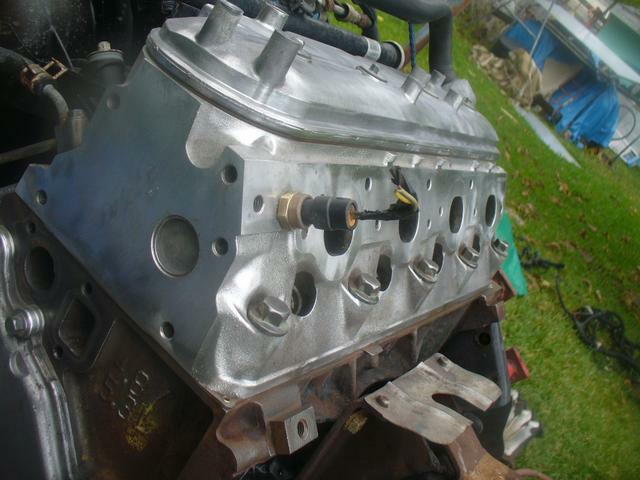 OP, Take some time and read up on heads and cam swaps on LS1tech. You will start to see proven 6.0 combo's and what is required to get there. There is so much helpful stuff on that site and plethora of info to ease your concerns. Also, there are a tremendous amount of quality shops out there. Do your research, they aren't all crooks as this thread alludes. Last edited by ShiftyCapone; 01-28-2019 at 11:51 AM. ... my position is that any dollar you sink into any engine (some is necessary, sure, but to minimize that is the key) is historically a bad investment both because it costs more than the other options in the long run and puts more stress on the bottom end whenever it needs to run a higher rpm with a large cam and heavier springs. Boost will enjoy a lighter spring, a smaller cam, lower rpm, less stress on rods, and make more power. And turbochargers are cheaper than heads and worth more power than any NA head on the same engine. Its 2019 and nearly every manufacturer has figured this out. Engines are being downsized and providing more power with boost. NA builds are nearly obsolete in the modern world... archaic, like a carb. Its a last resort for people without technical skills and imagination when starting from the ground up. And those are the most likely to make build mistakes that cost $$ and teach hard lessons. If you did it wasn't easily inferred from your posts. You indeed did show pics, which was very helpful to the OP, although I found it ironic that your heads were machine shop fresh. You have to at least appreciate the irony in that. No shots fired and what you are saying about turbo's is 100% true, just maybe not applicable to what the OP wants. I also don't think it necessarily shows lack of creativity. People don't build hotrods for efficiency. There is some expected give and take when it comes to dollar spent per unit fun had. That's where the creativity is. Good debate from different points of experience. Oh YES I am HIGHLY overstating the risks. My theory is that by going 10000% on each and every risk, by the time it sinks in it will be at a 'just manageable level' for the average user. Its a trick I use as a teaching assistant to help students with their upcoming exams. By pushing with emphasis the most intuitive aspects in a variety of viewpoints they get a 'feeling' about the idea, rather than a memorized note they will just forget later. For example all that stuff I said about the oil system failures. Obviously, I have no idea if this guy (or anybody else) will have oil relocation lines, or a poor pan design, or any of that stuff. However, by clearly showing examples of each seemingly random style of oil related failure, I am putting a high emphasis on the IDEA that oil related failures occur for a variety of reasons, and hopefully the reader will then become more AWARE and THINK about that kind of stuff as he/she moves along in the build. It isn't that I am trying to say "watch out for this exact type of failure" you got the wrong message if that was what you read. Its more like I am saying "Look out for a variety of oil related issues because one little oil mistake will trash an expensive engine" as many have discovered. So the heads, I will elaborate, how did I select a machine shop for that? How did I know I would get a good job done? And how does that play with the current situation's "dont spend $$" idea. 27,000 customers purchasing heads with excellent feedbacks started me off. I figured it was better than walking into a random machine shop where maybe 1 or 2 people I knew had work done. Next I emailed them and got answers I liked. The guy on the other end seemed offended when I asked him "are you sure its an MLS head" which was a good sign. "we've been doing this since XXXX and blah blah blah" I knew I was in the right place. Furthermore, Being ebay, I knew I could get 100% refund if I didn't like it. Furtherfurthermore, I already had destroyed the heads I owned (trying to get the broken studs out) and those guys were willing to take my ruined heads in exchanged as a core. So that was nice of them on top of everything else. Next look at the cost, $369 shipped. This is where I get to point out that these are not a $2000 set of heads that have been worked over and with a bunch of expensive parts in them. I felt fairly confident that even if I ruined these heads, for $369 the risk was acceptable, even with them 'being from a machine shop'. While I avoid having things done (by anyone else) in general, after such extensive (all 30 minutes I spent) analysis of the situation, cost, 27,000 customers, emails, etc... I was willing to risk that part on my stock engine. Now, double or triple the cost of those heads and forget it. I'd rather go to a junk yard and pull another set, slap some springs and go. 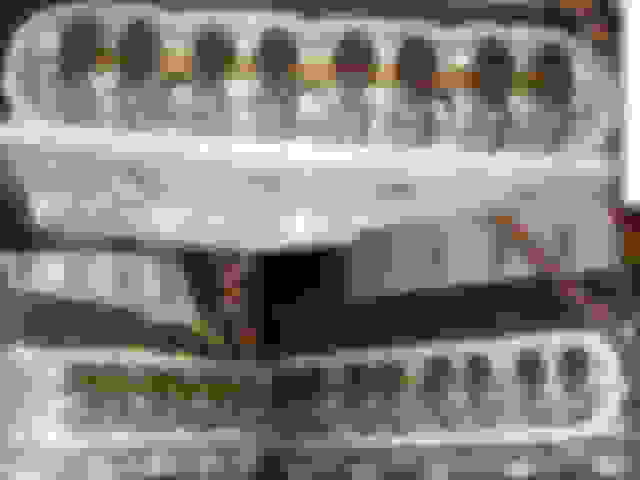 You start jacking up the price of the heads on a budget FI build and I start to worry about all kinds of unrelated hardware failures, mis-matches, and so forth, all for nothing because I can just raise the boost pressure a little extra to compensate. This is an good example of how to choose a machine shop. The key is asking a lot of questions, seeing examples of their work and having them elaborate on their LS experience. You'll often find that there is at least one or two go-to LS shops within any metropolis region. And if not, any of the big players offer head rebuilding services. Their names are on every message forum so its in their best interest to do quality work.